Welcome to the AHMM blog! 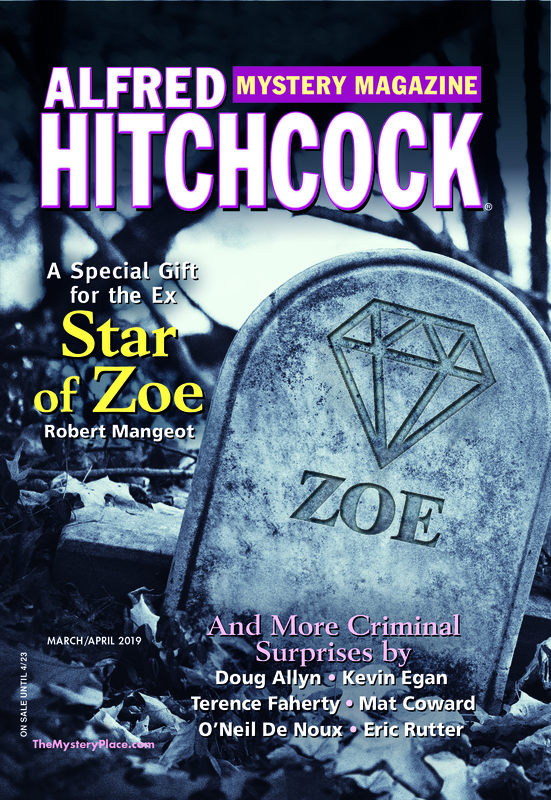 Alfred Hitchcock’s Mystery Magazine has been publishing mystery and crime short stories since 1956. Here, the magazine’s editor will reflect on mystery fiction, writers, publishing, and stray topics that take my fancy. I expect to post once a week, on Fridays, and in between as time and topics allow. For several years, I was posting regularly in the Readers’ Forum on the AHMM web site, but we have decided to move this feature to its own blog in order to increase its visibility. I hope that we will continue to have the same likely lively discussions that we enjoyed in the Forum. I look forward to reading your comments. Please note, however, that this is not a place to submit stories to the magazine; for information on submitting your stories, please see our web site.